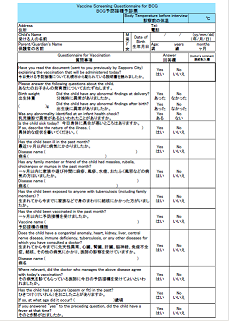 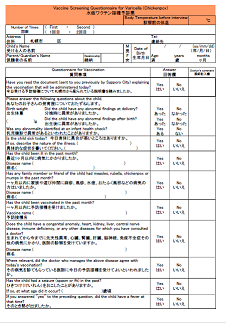 Please use the English-Japanese questionnaires below for your child when s/he gets vaccinated. 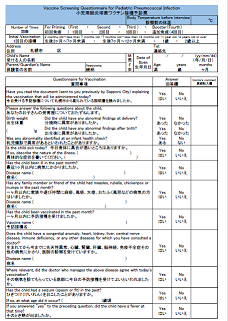 Read the “Vaccination and Children’s Health 2017” (予防接種と子どもの健康　Yobo-Setsyu to Kodomono-Kenko) first before filling out the form(s). 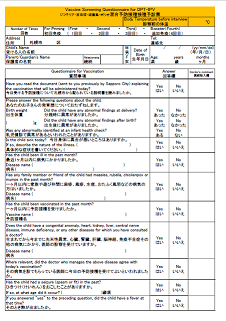 Printing out and filling out the form(s) in advance will save you time at the pediatric clinics or health centers. 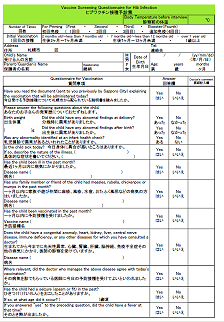 You can take your child’s temperature in the morning at home or at the clinic. 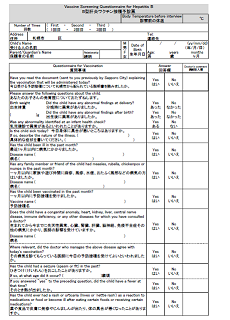 It should be under 37.5℃. 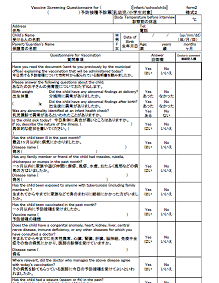 As of February 3, 2017, Sapporo city and Sapporo Pediatric Association allow you to use these English-Japanese forms in replacement of the Japanese version provided. 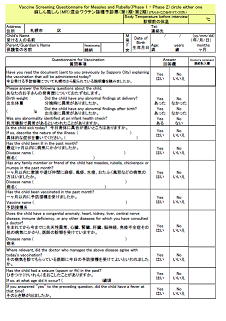 For routine vaccination, please use the ones with the names of each vaccination. 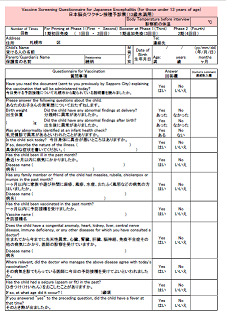 Multi-use form is not accepted for routine vaccinations.